The Carrell Group participates in an in-depth look at CFL bulbs. VIDEO ARTICLE – Paula Caruso, WMBF Anchor, provides an in-depth look at Compact Fluorescent Lights. Bruce Carrell, president of The Carrell Group, helps consumers understand the applications in a home regarding these bulbs, and the large “green” benefits that small upgrades like this can make in a home. Marc Tye, VP of Conservation and Renewable Energy. The Carrell Group, along with The Insurance Institute for Business and Home Safety, discuss FORTIFIED Construction and the advantages. VIDEO ARTICLE – The Carrell Group’s president, Bruce Carrell, discusses disaster ready homes and construction techniques, aka: FORTIFIED® with WBTW News. Allison Dean Love, with the Insurance Institute for Business and Home Safety, offers her professional insight to FORTIFIED® construction and the advantages to homeowners. “It’s a lot more than just protecting the structure of. 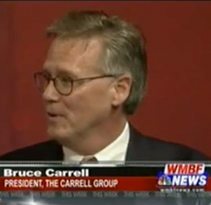 On July 6, 2012, Bruce Carrell sat in on a Roundtable Discussion, broadcast live by “WMBF News This Week” and hosted by anchor, Paula Caruso. As a 25 year Builder along the Grand Strand, Bruce Carrell has weathered many ups and downs in the regional construction market. As one of the most highly regarded Builders. 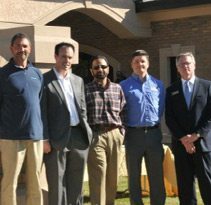 Florence, S.C. – (November 1, 2012) – The Insurance Institute for Business & Home Safety (IBHS) today awarded a FORTIFIED for Safer Business™ designation to the new Pee Dee Nephrology medical office in Florence, S.C. The 9,700 sq. ft. Pee Dee Nephrology office is the first building in S.C. and the first medical office in. In recognition of Carrell Group’s nearly 30 years in business, its market leadership in Fortified and ICF construction, and its recent national award, Carolina Real Estate filmed a television show in March 2013 on the Carrell Group and sister company, Grand Designs. 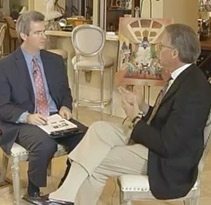 During this 30 minute broadcast, Bruce and Sonya Carrell discuss both company’s histories..
VIDEO ARTICLE – The Carrell Group’s president, Bruce Carrell, discusses disaster resistant construction techniques on WMBF News. FORTIFIED® is the program established by the Insurance Institute for Business and Home Safety in order to produce the most disaster resistant shelter, often resulting in insurance reductions. For many years, the Carrell Group has been building with. VIDEO ARTICLE – The Carrell Group’s president, Bruce Carrell, discusses hurricane / disaster resistant building materials and construction techniques (FORTIFIED ®) with WMBF News Meteorologist, Marla Branson. FORTIFIED® is the program established by the Insurance Institute for Business and Home Safety in order to produce the most disaster resistant shelter, often resulting in insurance reductions. For.